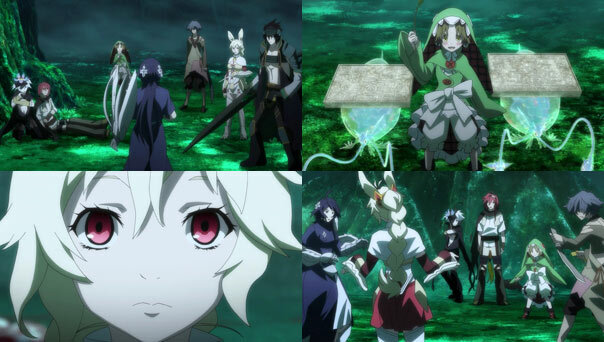 For me, Rokka no Yuusha’s ending was never going to be satisfying. Even if the identity of the seventh is revealed—and it is; it’s Nashetania, whom we’d suspected the most all along—one episode isn’t enough to get to the Demon God, let alone defeat him. It just wasn’t going to happen. With that in mind, I managed my expectations accordingly. While it made logical sense based on a lot of her actions throughout the show that Tania was the seventh, it still left me a bit cold. A lot of why I enjoyed the show was the fact that most of the time, especially before that barrier went up, there was no reason to believe Tania was a villain. From the night she visited Adlet in his cell, she seemed like, well, a nice person. The story may have always intended for her to be the villain, but I’m not sure what to do with that. I’m mostly just disappointed she turned into a sneering baddie who thinks 500,000 human casualties is a small price to pay for peace with the fiends. Despite the evidence against her, it still felt out of left field, and the big revelation didn’t have an impact that justified throwing her character into the dumpster. It doesn’t help that she turns into muddy goo and vanishes into the wind, meaning she’s still very much a threat to the other braves. But hey, at least Maura is apologetic and ready to work with Adlet, right? And Fremy isn’t going to go off on her own, and after she has some time to think, may eventually figure out how to interact with Adlet, whom she has feelings for? And we’re down to the correct number of six braves, right? Well, on that last point, wrong. Once the barrier falls, another seventh brave shows up. This brave, Rolonia seems specifically meant to vaguely resemble a cheap Nashetania knock-off, albeit with cow-themed rather than rabbit-themed armor. Worse, her sudden appearance, as well as the newly reignited suspicion and discord amongst the other braves…is played for comedy. Sorry, but this development is unforgivable. We were DONE with the seventh brave mystery. It took up the whole damn show, and if we’re being honest, wasn’t enough on its own to sustain most of the show. Combined with Nashetania being wasted, and not dying, ending up as a fresh threat, as well as the sudden arrival of a king who says 2,000 fiends are descending on their position…it’s all too much for a show that gives no indication of if and when it will return. Part of it is me; I came in expecting the world-saving story to progress a lot further, rather than the show to get bogged down in a mystery. But for the show to solve that mystery, only to immediately start a new one in the last episode, was frankly the last straw for me. I’ve run out of goodwill and patience for this show. I wish I’d run out much earlier, so I wouldn’t have had to watch this botched finale. But I can tell you one thing: if there is a second season, I’ll be passing on it. Jeez, gotta agree with you here. The series was good, but the ending was a little meh. Personally, I think they could have a done a lot better. And even the last moment when there is another seventh…. Really! Just wow! Oh no! Sorry you lost your full response (I’ve lost 99% complete reviews that way! ), but I think I got the gist from your list. This show just started rubbing me wrong as soon as I realized it would be dominated by the seventh mystery (which I was still compelled to stick around with) rather than the overarching quest of the braves. While I may have been unduly harsh in my final episode rating, that rating is as much an indictment of the direction of the show and how it chose to end (or not end, as the story is far from over) as it is about the execution of the 12th episode. How accurate or not it was to the LNs is irrelevant for me as I don’t read LNs or manga, I only watch anime…a practice that I’ll admit has its drawbacks, especially for shows like this. In hindsight, the show had some good moments and on the whole looked and sounded great, but ultimately wasn’t for me. Nevertheless, I thank you and everyone else for your patience in following my reviews! Couldnt agree more with your comments and review, exactly what I was thinking about the whole series, leaves more unanswered questions than answers, the whole ending has left a bad taste in my mouth. 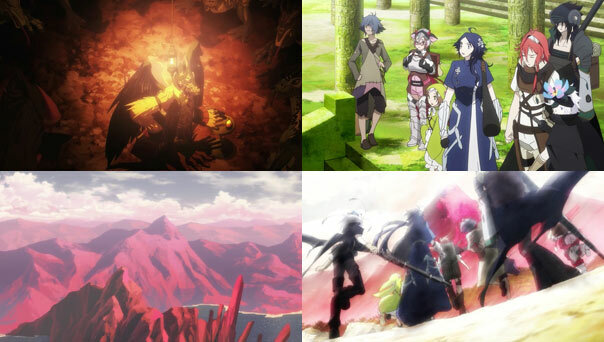 Was expecting a lot more or at least a proper fight vs the 7th on the last episode, instead we are treated with a new mystery of another 7th, just lame and dissapointing. Really like the characters and animation, this series could have gone a long way IMO, the plot was descent enough, but they messed it up by solemly focusing the whole series around the 7th. You know a second season wouldn’t be dominated by the seventh ‘ mystery. They’re going to go inside enemy’s territory now, they’re not blocked anymore. The thing is, what would be more interesting? to have them go inside while trusting each other, and to have them go inside with trust issues? You should actually rejoices the plot is going that way. What you’re doing right know is akin to complain that the story is going to be more interesting than what you thought it would from now on. I’m not sure that makes sense =). If you’re interested, you can start reading from Vol 2 here. This group’s still working on Vol 4 though. PS. Naschetania is merely a follower, not the true mastermind of the fiend-human unity plan. 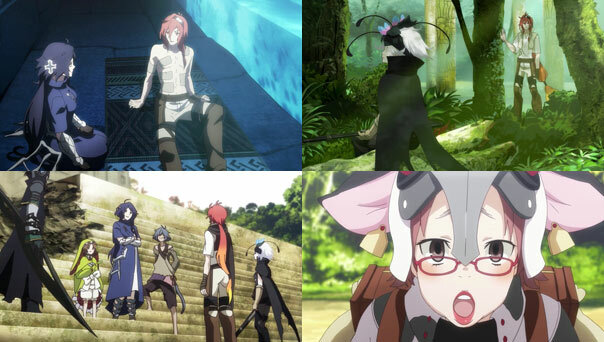 We always try to avoid watching shows we dislike here on RABUJOI, but to be honest, my dislike didn’t reach its fullest flower until the final episode. In hindsight, I wish I hadn’t started peeling this particular onion in the first place.